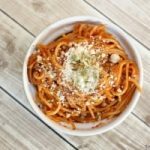 Slow Cooker Spaghetti and Meat Sauce is a sponsored conversation written by me on behalf of Ragu® . The opinions and text are all mine. During this time of year, life seems to get even busier than usual. Between sports practices, swim lessons, birthday parties, and holiday activities, making time to sit down as a family is important to me. Recipes like slow cooker spaghetti and meat sauce make it easy to make family dinner happen. Before we had children, I knew I wanted to make sure our family enjoyed meals together whenever possible. Taking time to enjoy a meal together is a great time to connect and catch up. It’s something that feels really important in the middle of our busy lives. 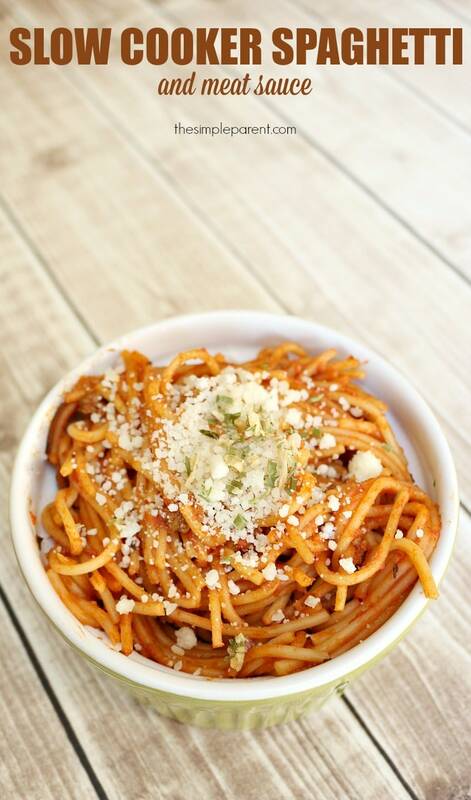 Pasta is always a hit with the entire family so we depend on it a lot. But these days it’s hard for me to be in the kitchen making dinner while the kids do their own thing. 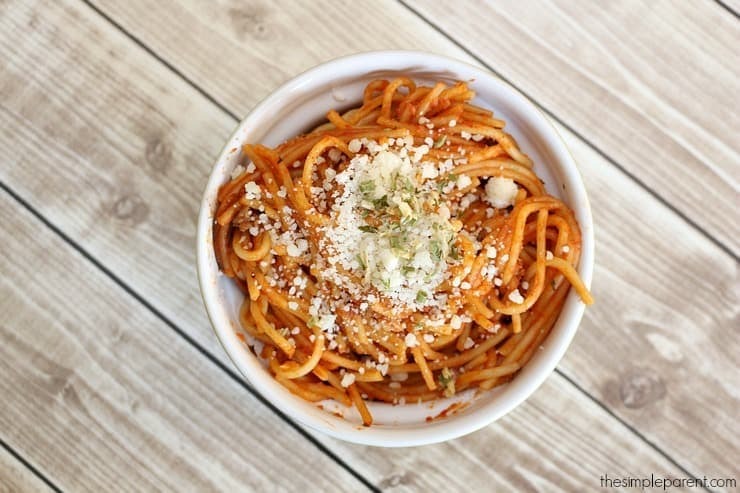 Slow cooker spaghetti is a great solution! It’s easy for me to get started and just let cook until dinner time. 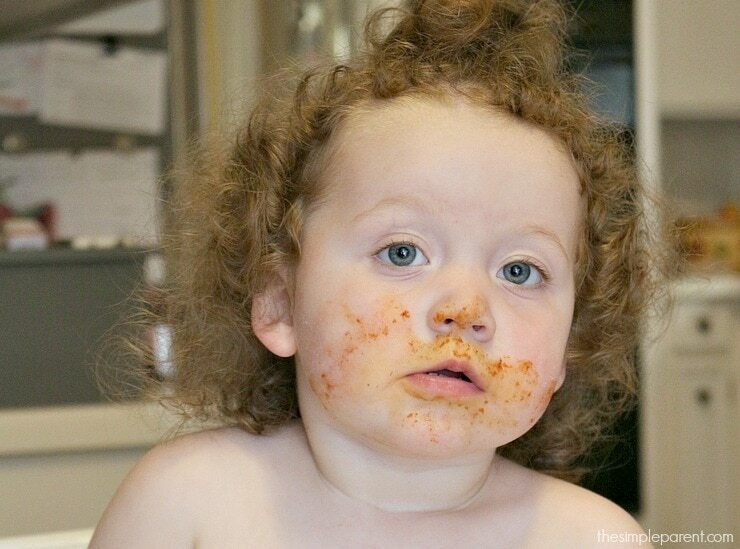 And I had to admit that it’s pretty cute when the kids get spaghetti sauce all over their faces! By making meal prep easier, I have more time to enjoy those magic moments and memories. These are the moments that make up our lives. They are the important times. 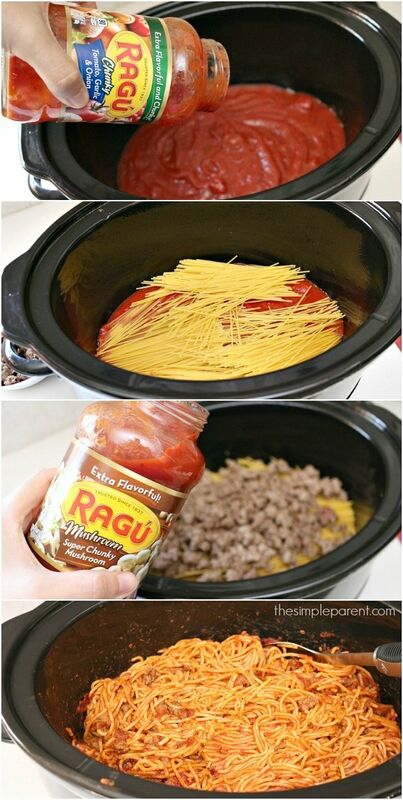 Pour one jar of Ragu® Pasta Sauce into the slow cooker. Break spaghetti in half and spread on top of sauce. 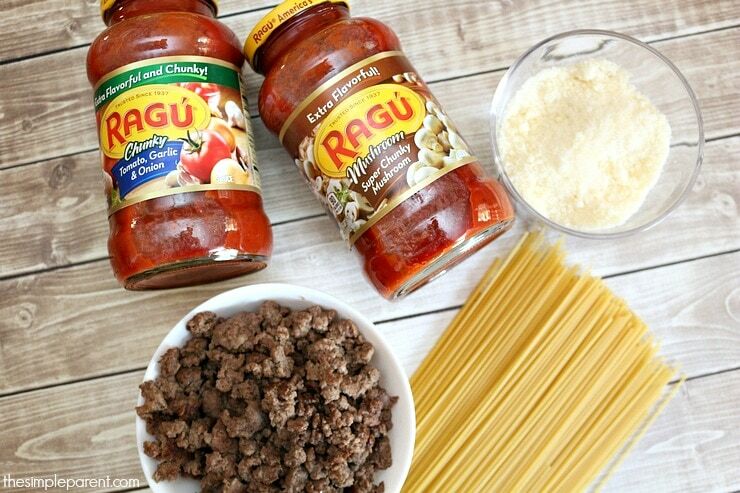 Pour second jar of Ragu® Pasta Sauce over layers. Stir and add one cup water. Cook on high for 30-45 minutes or until pasta is desired tendency. Using the slow cooker to make a family favorite meal has made dinner prep easier for me. That gives me more time with the family, especially as the busy holiday season gets closer. It also means I can make sure my family is getting a good meal at night before we run all over town. 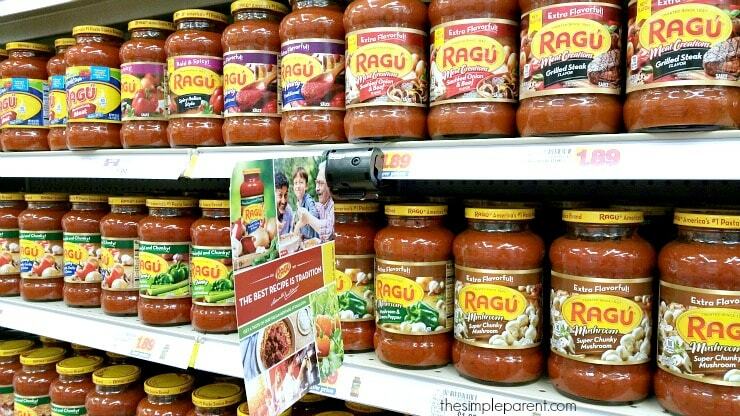 Picking up Ragu® Pasta Sauces and all of the ingredients is easy on my weekly shopping trips to Kroger too! Convenience makes it easier for enjoy the magic of meal time with my family. I can’t wait to see how our meal time conversations grow as my kids grow! « Travel Away From Toddler: Tips to Make It Easier!